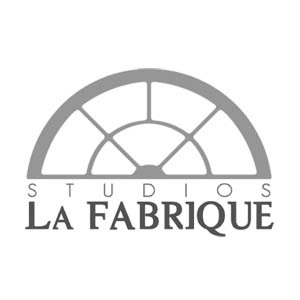 "The Creme De La Creme"
La Fabrique recording studio is divided between five main areas: the large control room and four dynamic recording rooms. The Control Room is 100 square meters and is very well sunlit. At the centre of the room is one of the best sounding analogue consoles ever made: a 72 channel Neve 88 R. Artists can choose to track on a 2" Studer A800 MKIII analogue tape machine or to Pro Tools HD. Artists will enjoy the spacious control room, allowing them to feel at home while participating in each step of the production process. A large selection of the finest state-of-the-art outboard and microphones are available for engineers to use. The Library is the main live recording area. It is made entirely of wood and glass, and measures approximately 150 square meters. The space is filled with sunlight and has a natural sounding acoustic. Musicians are surrounded by over 200,000 vinyl records from Foundation "Armand Panigel", one of Europe's biggest classical music collections. It provides artists with a peaceful and highly creative atmosphere. Recording engineers will enjoy a reverberation-controlled acoustic, perfect for close mic recording, and a stone echo trap built at one extremity of the area for ambiance, with an approximate reverberation time of 4 seconds. The Mill is a highly reverberating recording room. It measures 100 square meters and is built entirley from 12th century stone. The Mill serves as the perfect space for recording acoustic guitars, harps, strings, drums, vocals and choirs. During mixing sessions, producers particularly enjoy the mill as a dark echo room thanks to its incredibly rich low end. The Arcades is an outstanding live space. It is 33m long, 10m wide, 6m high, has stone wall and a wooden ceiling. The room's acoustic is wonderful for big drum sounds, string ensembles and choirs. Multiple isolation panels are available to create different acoustics, or provide some isolation. The Dark Room is a 100 square meter area, with a 10 meter high ceiling. With ancient stone walls its acoustic is perfect for drums, strings, amps etc... During mixing sessions producers can also use it as a wide echo room.